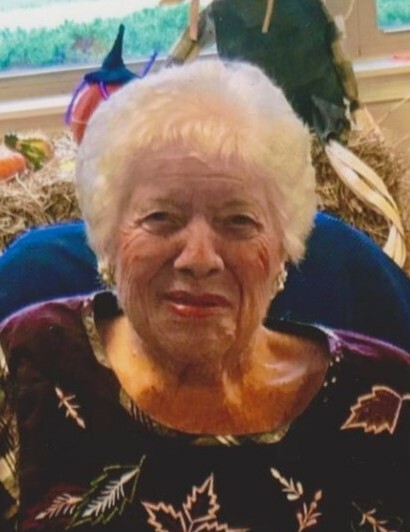 Age 88, a life-long resident of Camden, passed away Wednesday, January 23, 2019. She was born May 31, 1930 in Camden to the late Harold H. and Helen A. (Davis) Dearth. Ruthayn contracted polio at the age of seven but did not let it control her life. She graduated from Camden High School, Class of 1948 and went on to work for ODOT where she retired. She was active in the community her whole life. Ruthayn was instrumental in the resurrection of the Town Hall. She was also in charge of the alumni for 12 years. In her down time, Ruthayn enjoyed swimming and collecting antique dolls. She also loved Christmas and collected Christmas Décor all year round. Ruthayn Loved Camden more than anything. She knew so much of the towns history and the people who lived here. A visitation will be held Monday January 28 from 12PM -1PM at BALES’ FUNERAL HOME, Camden. The funeral service will begin at 1PM with Dr. Dan Flory officiating. Burial will follow at Fairmount Cemetery, Camden. Contributions may be made in Ruthayn’s memory to the Town Hall Preservation Fund or the Camden Archives, PO Box 1, Camden, 45311.